Citroën is taking the "first practical step in electric vehicles" in China with the introduction of the E-Elysee EV that is making its official debut at the Beijing Motor Show. 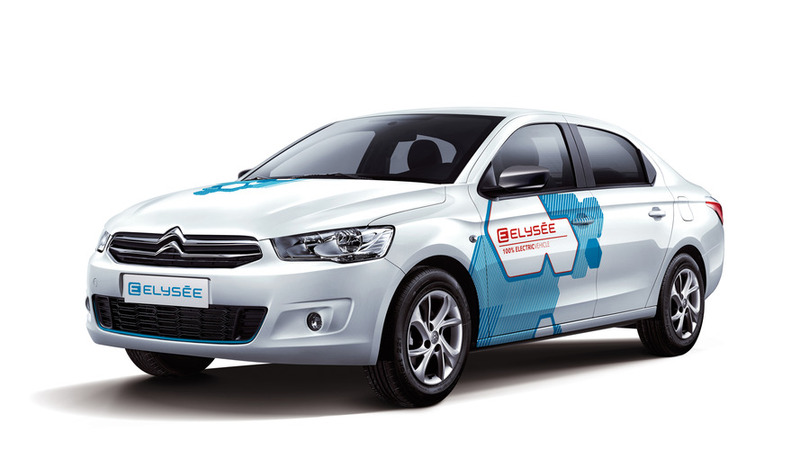 The C-Elysee budget sedan is Citroën’s best-selling model in China currently with more than 90,000 deliveries in 2015 and the brand has decided to expand the car’s portfolio with the new E-Elysee – an electric vehicle, based on the sedan. The three-box saloon is scheduled for a market launch in 2017 and reflects the company’s “ambitions to be a key player in electric vehicles for the Chinese public.” The E-Elysee ditches the internal combustion diesel and petrol engines of the regular C-Elysee for an electric powerplant, powered by a lithium-ion battery. No exact technical details are available at the moment, but the French company says the electric vehicle has a range of up to 155 miles (250 kilometers) on a single charge of the batteries. Recharging takes 6.5 hours in normal charging mode, while a fast charging function needs only 30 minutes to fill up the battery pack. Joining the E-Elysee on Citroën’s Beijing stand is the Dongfeng Fengshen A-based C6 and the E-Mehari all-electric four-seater cabriolet, making its first appearance in China. Buoyed by its excellent image in WTCC with two championship titles, C-Elysée is consolidating its status as Dongfeng Citroën’s best-selling vehicle in China, with 90,000 sales in 2015. Building on this impetus, the brand is unveiling an all-electric version of its three-box saloon: Citroën E-Elysée. Scheduled for launch in China in 2017, this model reflects Dongfeng Citroën’s ambitions to be a key player in electric vehicles for the Chinese public. Featuring a lithium-ion battery, E-Elysée has a range of up to 250 km and can be fast-charged in just 30 minutes (6.5 hours in normal charging mode). This emphasis on electric vehicles is also an opportunity for the brand to present its latest vehicle to the Chinese public for the first time: Citroën E-MEHARI, an all-electric 4-seater cabriolet with a unique personality.